With the success of “Bombay Dreams”, the Andrew Lloyd Webber musical, in London’s West End, the Oscar winning “Slumdog Millionaire” and the popularity of Bollywood movies all over the planet, Bollywood has finally made it to centre stage. 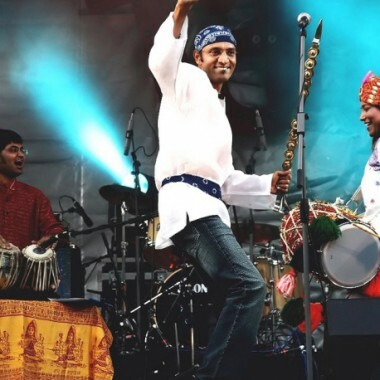 "A very diverse and truly magnificent band"
With the success of “Bombay Dreams”, the Andrew Lloyd Webber’s music hall, in London’s West End and Oscar winning “Slumdog Millionaire” and the popularity of Bollywood movies all over the planet, Bollywood has finally made it to centre stage. The Bollywood Band offers Bollywood music in a range of styles, from Indian Folk, Love songs and soul-shaking Bollywood classics to Bhangra. To add an exotic kick they have team of colorful and charismatic Bollywood dancers who create a virtual world of Bollywood Cinema. They also have there own VJ (Video Jockey) to create authentic background visuals from Bollywood movies while band & dancers are performing. The Bollywood Band has performed for Her Majesty The Queen of Britain and Prince Charles for The Commonwealth Day, Universal Pictures, Ministry Of Tourism Oman, Goldman Sachs, Louis Vitton, BBC, Royal National Theatre London, The National Trust, The Festival of The Sea (Portsmouth), The Riverside Festival in Nottingham, The Ethno Dance Festival in Moscow, the Mayor of London and many more. Also in Never Mind The Buzzcocks (where they did a rousing version of ‘Cotton Eye Joe’ with Bill Bailey, Danny Alan, David Jones-Mcfly, Simon Amstell and Phill Jupitus) – even a two-night stint performing alongside Bill Bailey in front of 20,000 people at the Wembley arena. 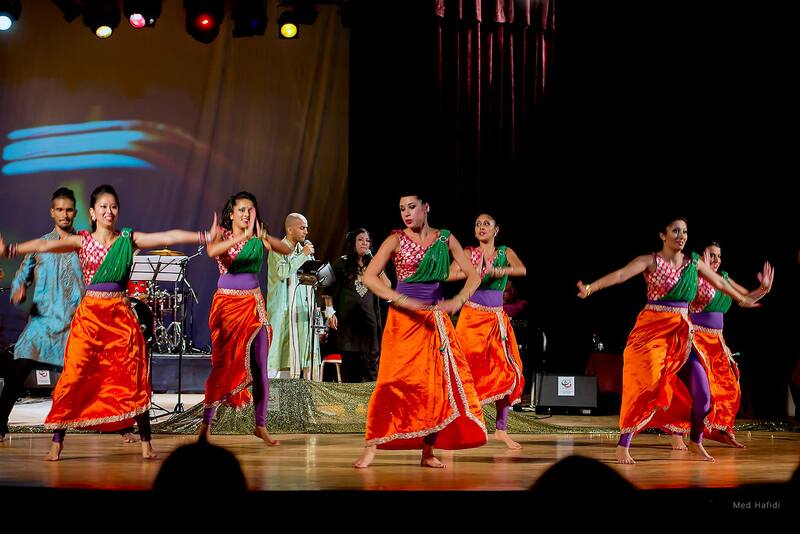 The Bollywood Band’s spectacular presentations are driven by its two key members. 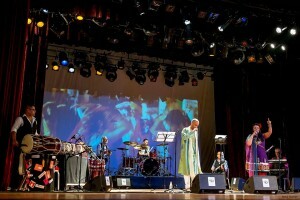 Kiran Thakrar, the founder and musical director of the band, has been working, living and breathing music for over 30 years. 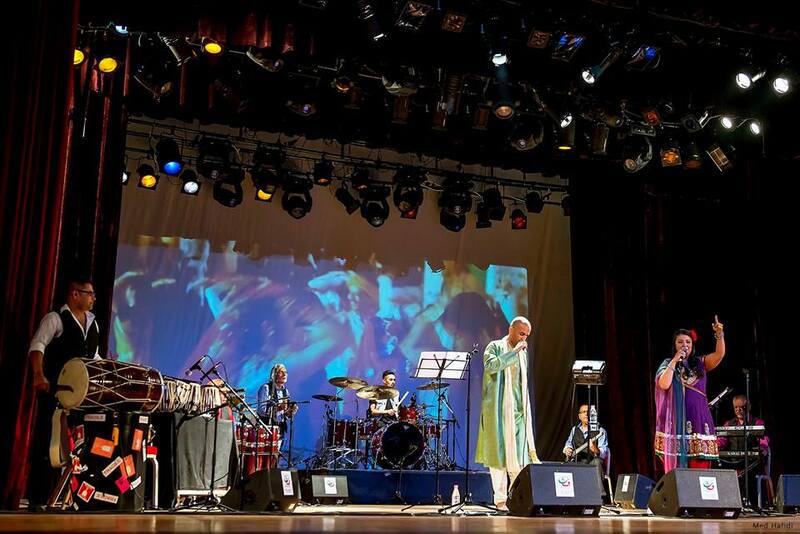 He has performed in more than 4000 concerts worldwide and has worked with some of the most respected names in the music, theatre and film industries music like Belbel Gilberto at MOBO Awards ceremony, Legendary Late Nusarahat Fatehalikhan, Bollywood Music Directors Nadeem Shravan & Ravindra Jain. He has composed and produced many award-winning albums, such as his work on “Beyond Boundaries”, which was voted ‘Best World Music Album of 2004’ by Canada’s JUNO judges. His latest short film “Diana”, for which he composed the original music score, has recently won the world-famous IRIS Prize Awards. 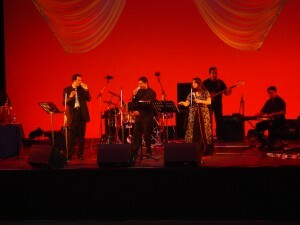 Kiran has been the first choice of Bollywood playback singers coming from India and Pakistan to set up backing bands for their concerts happening in UK & Europe like Hariharan, Sadhna Sargam, Sweta Pandit, Anuradha Pundwal, Alka Yagnik, Kavita Krisnamurthy, Richa Sharma, Mahalakshmi Iyer, Reshma and many more. 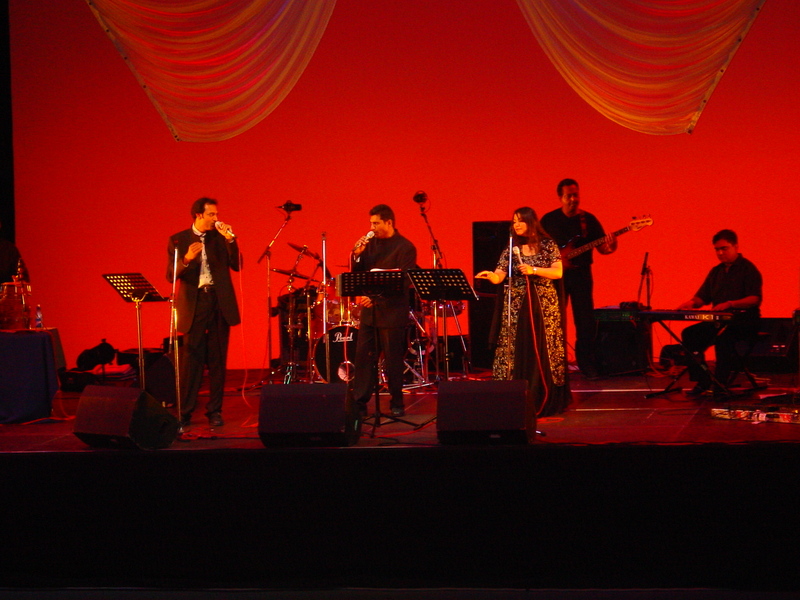 Anu Shukla, the lead singer and artistic director of the band, began her international singing career at the age of 12 and has subsequently performed in Spain, Germany, Austria, Sweden, Holland, India, America, Malawi, Uganda, Tanzania and South Africa. She won the Best Female Singer award for the “All-UK Hindi Singers’ Competition” in 1993. She has also collaborated with world famous icon like German band Dissidenten and American Rnb superstar Ginuwine. 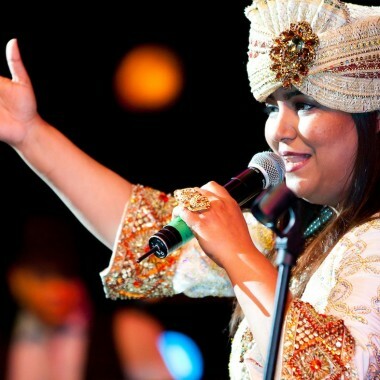 In 2009 she was invited by prolific artistic director Martin Amaud of Les Petits lend her vocals to the famous Bollywood musical “ Bollywood Land-Where love never dies” in the heart of Madrid’s Westend theatre.